but it can also lead to self-acceptance and healing. Family Secrets gives you the tools you need to understand your family--and yourself--in an entirely new way. In his bestselling books and compelling PBS specials, John Bradshaw has transformed our understanding of how we are shaped by our families. Now join him on this fascinating journey of discovery, which starts with your life today and takes you back through the conflicts, the strengths, and the weaknesses of your parents' generation--and even your grandparents'. Using a powerful technique for exploring your "family tree," you'll trace the visible and invisible patterns that have influenced you. You'll learn about family secrets that are healthy and necessary, and also about the secrets that can limit your wholeness and freedom--even if you don't know they exist. This work is sometimes painful, but it is always enlightening--filled with the kind of "aha" moments and realizations that make everything fall into place. 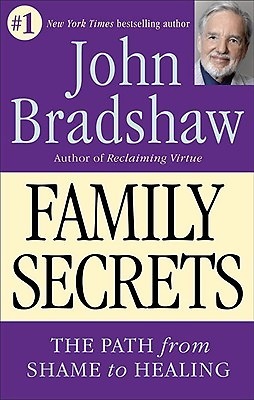 With John Bradshaw's guidance, you will come to a new appreciation and acceptance of yourself. You will also be able to build more open, honest, and loving relationships with the people who matter most.